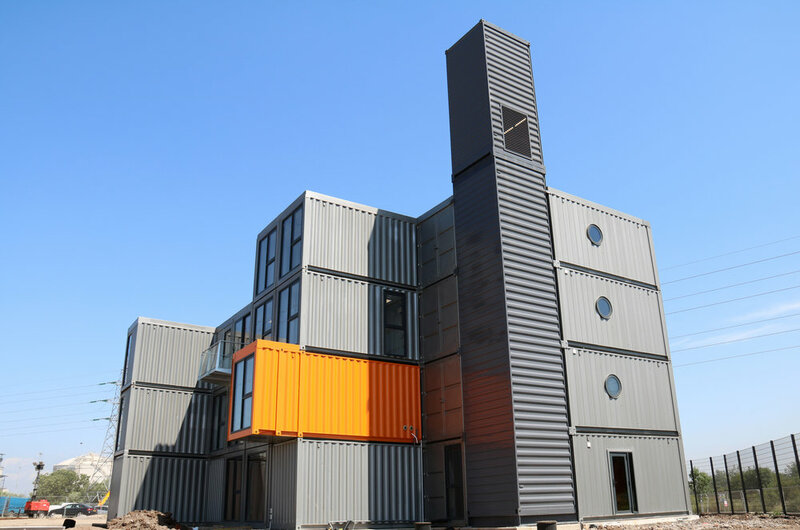 Container City™ was engaged to build a new head office for Bristol & Avon Group at its site in Hallen, near Avonmouth. After careful preparation, the prefabricated structure was installed over five days in April 2016. A Chinese box puzzle of interrelated modules, the building presents an arresting facade with colour used to good effect to emphasise the B&A brand.